Texas Tenants: Protect Your Rights When You’ve Been Wronged! As a tenant, everything is good until it’s not. That’s when you finally read the fine print in your rental agreement. That’s when you discover maybe you aren’t covered for things you thought you were. What are some common landlord-tenant issues? Obvious problems include evictions, a landlord’s refusal to return your security deposit, or your landlord’s mistaken entry and removal of your property. Other challenges can include a landlord’s failure to repair conditions that materially affect your health and safety. If you have ever rented in other places, you probably know that landlord-tenant obligations vary by state. 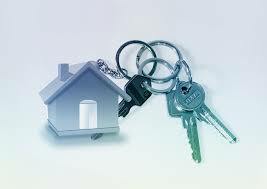 It’s important to understand the legal requirements of the state in which you are renting. In Texas, Chapter 92 of the Texas Property Code is an important statute governing Texas landlords and tenants. While Chapter 92 is not the only law governing Texas landlords and tenants, it is notable and must be fully understood in addressing issues between a Texas landlord and tenant. One valuable thing you immediately discover upon reading Chapter 92 is that it can be complex. A second essential point is that you must be careful in how you proceed, even when your landlord is completely wrong. For example, while it may seem like the right thing to withhold (stop paying) your rent until the landlord fixes things, don’t stop paying the rent! Judges aren’t concerned with your “good reasons” for not paying rent and failure to pay could add insult to injury by giving your landlord a reason to file suit against you! If you are experiencing problems with your landlord, a crucial step can be to obtain accurate information and prudent advice. “Feel good” actions you might be tempted to take can backfire. Such actions can include, as mentioned, not paying rent but could also include yelling at the landlord. Assistance from someone knowledgeable about Texas landlord-tenant law can help you get things fixed – the correct way. Many times, disagreements arise because landlords prefer to make promises in person. What happens if you want to change part of the lease and your landlord agrees – orally? And then doesn’t change that part of the lease? How do you protect yourself if the landlord said repairs will be made but you don’t have anything in writing? What if you don’t even have the rental agreement in writing? All these questions can be answered – and problems avoided – with a little assistance. This is where someone who understands Texas landlord-tenant law can inform you of your rights as well as those of the landlord and work with you to ensure your legitimate grievances are addressed. Most landlord-tenant disputes involve money or problems that can be solved with money. But some, like excessive noise, do not. Obtaining advice on how to proceed in situations ranging from annoyances to health-and-safety to theft of your property can give you the peace of mind that you are doing the right thing, even if your landlord is not. It is always important to know the boundaries of your rights and those of your landlord. Consulting with a knowledgeable legal professional can be useful to you in understanding your rights. If it turns out that you have been wronged, having a representative may a prudent step to ensuring your rights are represented and vindicated.